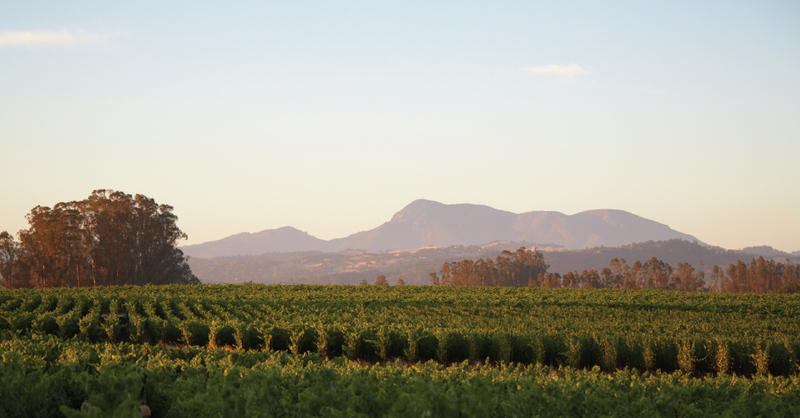 Sonoma County is famous for its wine, and that’s no surprise as it boasts acres of vineyards and hundreds of wineries. Among these is the Benovia Winery. With estate vineyards not only in Sonoma County, but also Sonoma Coast and Russian River Valley, Benovia Winery is responsible for creating small lot wines, specifically Pinot Noir, Chardonnay, and Zinfandel. Enter vintner Mike Sullivan. The son of grape growers, he’s very comfortable in the vineyard, where he started working at the age of 18. Then, after pursuing a degree in fermentation science, he discovered his passion for the craft. Today, he resides in Russian River Valley and makes beautifully balanced wines. He was kind enough to answer a few of our questions in a recent interview. Sherrie Wilkolaski: What makes the Russian River Valley so special when it comes to producing wine? Mike Sullivan: Many places in California are well suited for growing grapes and making wine, but the Russian River Valley is indeed a very special place. It is the interplay between cold marine air coming off of the Pacific Ocean and the warmer inland valley that creates just the right conditions in Russian River Valley to produce amazing Pinot Noir and Chardonnay. Only a handful of places in the world have this combination of cool coastal climate and well-drained, marine sedimentary soils that enable us to produce world-class Pinot Noir and Chardonnay. At Benovia, our team searched for and acquired three different estate-farmed vineyards in three very different micro-climates, so we could create three distinctly nuanced estate vineyard Pinot Noirs at the heart of our portfolio: the Cohn, Tilton Hill and Martaella estate vineyard wines. SW: Benovia Winery has an incredible sustainability program. How does this impact wine production and does it influence the end product? MS: I think that growing grapes with fewer herbicides and fungicides produces more flavorful grapes and high quality wines. That is why commitment to sustainability starts in the vineyard, where we embrace our role as custodians of the land by implementing environmentally sensitive farming practices. Our commitment to the environment continues at the winery, where we have installed solar panels that produce as much as 95% of the electricity that we use to produce wine. We employ water conservation techniques in the winery and vineyard, including deficit irrigation of vines and efficient barrel, tank and floor cleaning equipment. SW: Mike you’ve said, “What I love about winemaking is that perfection is unattainable. Winemaking is about the journey and not the destination.” What is it about the journey that you’re drawn to? MS: I love farming, and the journey is a lifelong discovery of how to grow better grapes and make better wine. Every growing season is different and as farmers we adapt to what Mother Nature throws at us. In the winery we adapt also, improving on what we have learned in years past. Harvest only comes once a year, so a winemaker may only have 40+ vintages in a lifetime. MS: For some winemakers the ultimate goal would be to produce one wine in their career that would attain a 100-point score. Although a 100-point score would be nice, my goal is to improve the quality of my wines every year, through learning and improving upon what I did last year. Perfection is in the eye of the beholder, so it would be up to my customers to let me know how I am doing; it is ultimately their decision to purchase and enjoy our wines or not. SW: What is your favorite type of varietal or blend to work with? MS: Sometimes called the heartbreak grape, my favorite varietal to work with is Pinot Noir. It is a chameleon; more than any other wine, Pinot Noir reflects where and how the grapes are grown. It is a very challenging varietal to work with but can also be the most rewarding. SW: How much time do you spend in the vineyards? MS: I started my winemaking career in the vineyard, planting and farming grapes on my family’s land, a side of the industry that I love. When you produce single vineyard Pinot Noir and Chardonnay, there is not much blending to be done at the winery; those wines are an expression of the terroir of the vineyard. Almost all of the character of Pinot Noir and Chardonnay is a reflection of the quality and intensity of the fruit; that is why I try to spend as much time as I can in the vineyard during the growing season. SW: What is your favorite time of the growing season? MS: Harvest is the most special time of the year for me. It is the culmination of a year’s work. It is the end of one chapter and the beginning of another. It is the time of year where we don’t sleep much and seem to run on adrenaline for a couple months straight. Harvest is the ‘make it or break it’ time for a winemaker, and that is why I love it. SW: What are you doing to influence other wineries to become more sustainable? MS: Planting vines closer together (higher density) and encouraging a smaller vine that requires less water and fertilizer. This is a technique that has been used in France for hundreds of years. This ‘high density’ planting is not done very often in the Russian River Valley and I hope that we might be influential in the way others plant and farm our vineyard. SW: What is the one thing you haven’t done yet as a winery owner that you would like to accomplish? MS: My biggest sense of pride comes from making our customers happy. When I talk with customers and they tell me how much they enjoy Benovia Wines and how they consumed them on a special occasion – that is all the accomplishment I need. SW: What is your personal favorite wine and food pairing? MS: A classic for me is Pinot Noir and duck confit, but I also love to make cassoulet and pair it with a Grenache-based wine, like something from the Southern Rhone. 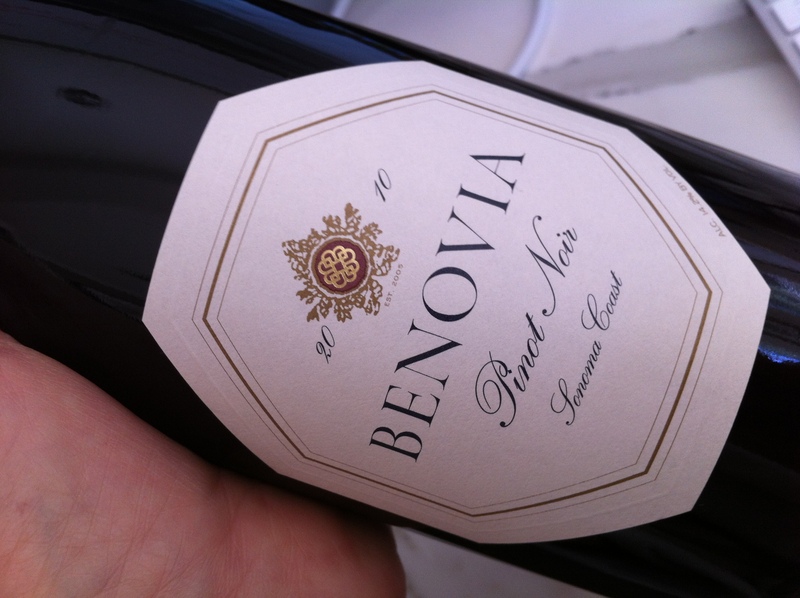 To learn more about Benovia Winery, go to http://www.benoviawinery.com.